I try a few new recipes a week and lately nothing has been that good except for tonight. 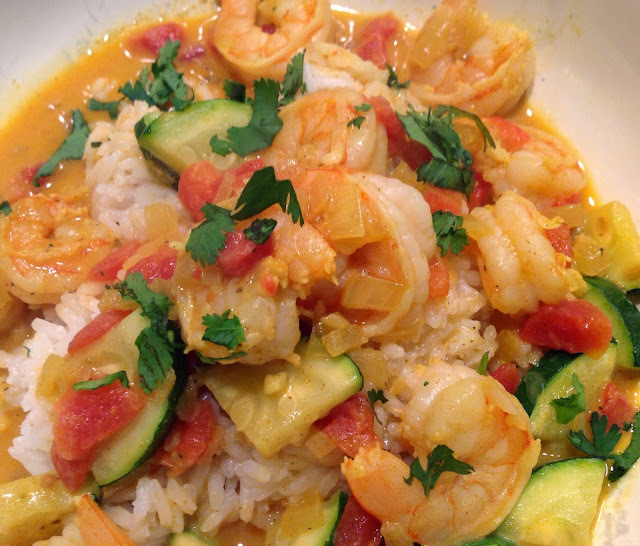 We LOVED this Coconut Shrimp Curry. So good and so flavorful with a touch of spice. I especially loved how easy it was to make. Prep the ingredients and the dish will come together quickly. I adapted the recipe from Jo Cooks and Mel's Kitchen Cafe. Check out their blogs, they have some good looking recipes. In a bowl, toss the shrimp with marinade. Set aside. Meanwhile, in a large skillet, heat the oil over medium heat until hot. Add the zucchini and stir fry until slightly brown. Remove with slotted spoon and set aside. Add the onion to skillet and cook for 2-3 minutes. Stir in the pepper, ginger, salt, garlic, coriander, turmeric and curry powder. Continue cooking over medium heat, stirring often, until the mixture is very fragrant and the onion is soft, about 3 minutes. Add the undrained tomatoes to the skillet and cook about 1 minute. Increase the heat to medium high and add the coconut milk, stirring to combine (I used a whisk). Bring the mixture to a boil and add the zucchini, shrimp and any accumulated juices from the marinade. Bring the mixture to a simmer and cook until the shrimp are lightly pink and cooked through, about 2-4 minutes. Serve over hot, cooked rice and garnish with cilantro. Yumm! That sounds wonderful - great flavors! Wow you have shared tips for shrimp marinade, I never knew that how to do this, even I had searched for number of online cooking videos for this but never got useful information. 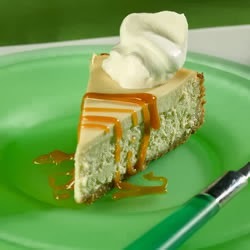 I really liked your blog and recipe shared here is quite easy to follow. Thanks dear. Thanks Chris. I try to share only the recipe I think are keepers.